Everybody knows that North Carolina is one of the greatest states in the country to travel around eating barbecue, and there are some amazing, legendary restaurants around which have been open for decades and garnered a whole lot of press and attention, but they’re not the only ones. There are more than four hundred barbecue restaurants in the Tarheel State. Many of them are outstanding even if they fly under the media’s radar. Here are ten that should not be overlooked. 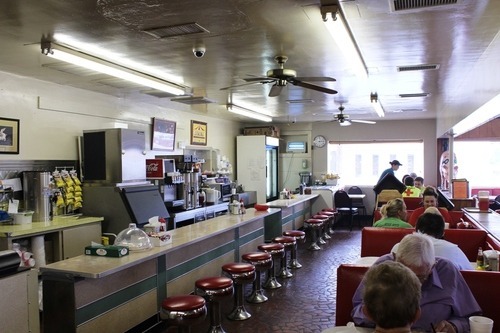 The Raleigh-Durham-Chapel Hill area, or Triangle, is the DMZ between the two styles of Carolina barbecue. In that zone, you don’t find an easy boundary between eastern and western (or Lexington-style). Such is the case with Backyard BBQ Pit, whose approach is similar to the great Allen & Son in Chapel Hill in that they smoke pork shoulders (the Lexington-style cut) served with an eastern style sauce with red pepper flakes to give it a little kick. Having been previously featured on Travel Channel’s “Man vs Food” you would think that Backyard BBQ would be mentioned more in the conversation of best barbecue in the Triangle. For some reason its not, but it definitely should be. The Barbecue Center is just two miles from Lexington #1 and doesn’t get nearly as much publicity despite the fact that its recently passed owner Sonny Conrad was the major force behind The Barbecue Festival, which draws crowds of 100,000 to the city on one Saturday each October. 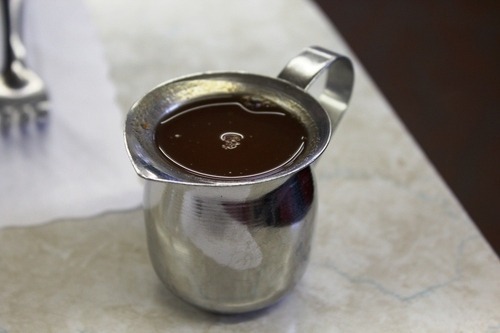 As for the food itself, it is a classic Lexington-style joint though its dip (table sauce) can be a little sweeter than I prefer. Having grown up on Lexington #1 I certainly have my bias, but many out-of-towners without such bias (as well as plenty of locals) have stated that The Barbecue Center is the best in town. Depending on the day, they might just have a rightful claim. Dan “Boone” Gibson has his own family traditions when it comes to barbecue that don’t strictly follow the eastern/Lexington taxonomy, but you’d be silly to dismiss his barbecue right off based on that. Having had a hand in starting two Charlotte-area barbecue chains, Boone tired of that life and struck out on his own in a food truck to serve his smoked wares (pork, brisket, sausage, and ribs) directly to the people. Look for him at various food truck festivals around the Charlotte area, and you won’t be disappointed. Heading towards the NC coast can be hit or miss when it comes to barbecue restaurants, but this buffet-style barbecue joint off I-95 is a nice find. While the buffet has salad and seafood as well as fried chicken, the wood smoked barbecue is the main feature and rightly so. Just don’t be surprised if you get there right as it opens and find a line of folks chomping at the bit to get in. When you are greeted by a sign that states “It’s All About the Wood” and a simple smoker covered by an aluminum shed at a barbecue joint, you know that’s a good start. And oh, did I mention the joint is connected to a gas station off a country highway between Raleigh and Durham? Thankfully, the barbecue follows through with well-smoked eastern style barbecue with a higher ratio of light meat to dark served in a modest dining room covered with red gingham table cloths. Charlotte has been oft overlooked as a barbecue town (and usually for good reason), but Midwood Smokehouse is helping to change that perception with its focus on wood smoked meats from a variety of barbecue cuisines. While it does have an eastern carolina style pork as well as the Lexington style red slaw, Midwood draws from Central Texas in its brisket and sausages, from St. Louis in its ribs, as well as from Kansas City in its burnt ends. Throw in a full bar and you might be tempted to refer to it as “yuppie-que” but whatever you call it just know that the are serving some of the finest smoked meats in the region (the brisket is arguably the best in NC). Similar to the coastal plans of NC, once you head west of the Piedmont of NC towards the mountains the barbecue becomes very hit or miss. 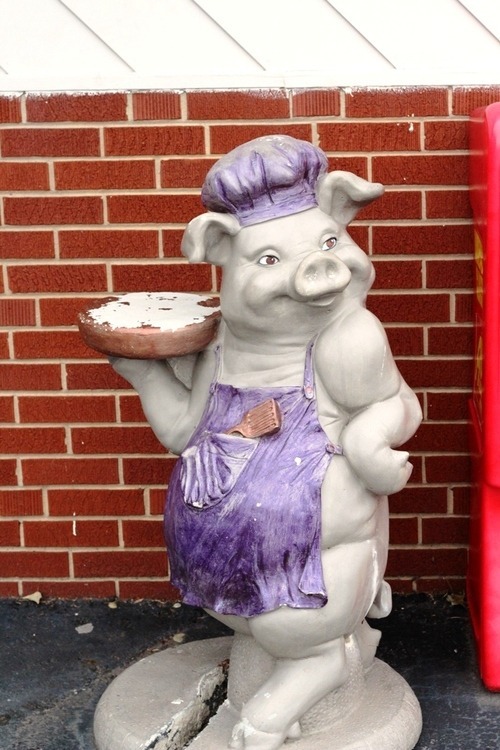 Which is why stumbling across a Lexington-style joint like Porkey’s in Mount Airy was a nice surprise. It may not quite measure up to the best in Lexington, but if you are exploring the nearby wineries in the Yadkin Valley you can do a lot worse than the chopped pork at this wood smoking joint. When it comes to barbecue, Salisbury is very much the little brother to Lexington. 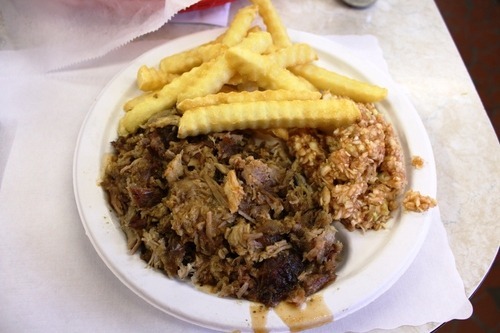 According to some, “Lexington style” barbecue – that is, chopped pork shoulders with a vinegar and ketchup-based sauce – may have even originated there. 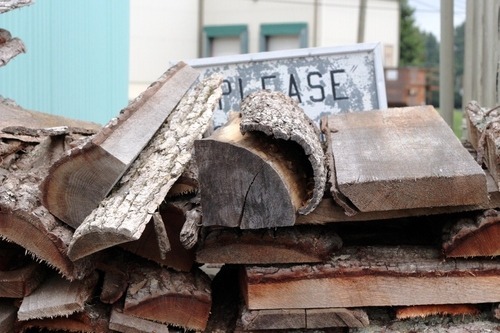 Richard’s is a wood smoking joint that serves coarsely chopped pork with plenty of bark mixed in. Add some nearly perfect hush puppies with the right mix of savory and sweet as well as a classic red slaw, and you’ve got a joint that competes with many of the better ones in Lexington. A relative newcomer, The Smoke Pit models its barbecue and presentation after Central Texas. Order a combo platter and you get a tray of meat and sides arranged like what you’d expect in just about any joint in Austin. But with the choice to drink it with a SunDrop (which along with Cheerwine is nearly the perfect drink for barbecue), it still retains some of that North Carolina charm. Much like Charlotte, Concord isn’t known for its barbecue but I’d recommend The Smoke Pit to just about anyone in the area. Troutman’s is the archetypal NC barbecue joint: a small, standalone wood shack off a country highway in a rural part of the state. There’s a wood pile out back, two modest dining rooms, and waitresses that take your order as soon as you find your seat. The pork is consistently moist and smokey and paired with the red slaw, hushpuppies, and a Cheerwine, it’s at a price that’s hard to beat. 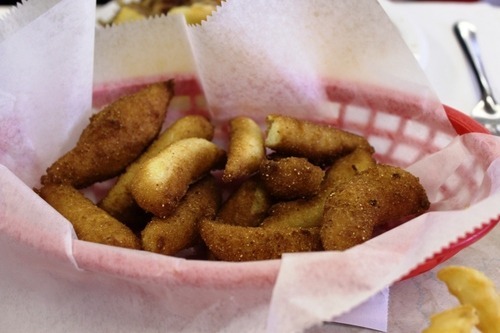 What other underrated NC joints did we miss? Showing up to The Smoke Pit on Saturday means many guests will be standing in a line that starts at the register and trails out the door where people wait patiently to move forward. Some guests say that on one Saturday, they stood in a line that wrapped around the building. 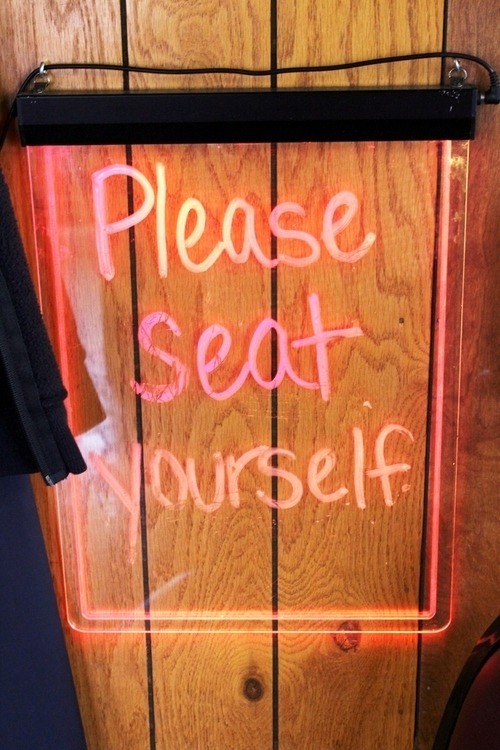 With so many daily visitors, certain items may run out and are then placed on a sign below the menu, which some visitors peer at from the line. 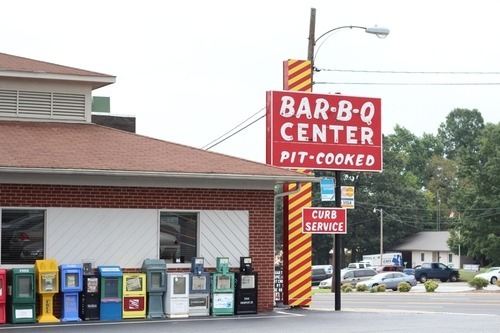 Few places are more familiar on Wilkinson than Bar-B-Q King. Follow the curved arrow of its sign, and most days you’ll see a lot full of cars. Behind the counter, a static buzz fills the room as co-owner Gus Karapanos flips on the speaker system. “Same one we’ve had for 40 years,” he says. “People love to hear it.” The sign, too, has been the same since Karapanos’s uncles opened the place back in 1959. Except for a few days after Hurricane Hugo knocked it down in 1989, that sign and the billboard–sized, ice-cream-eating Inuit at Dairy Queen next door have remained constants in a changing neighborhood. Pork is the game in Lexington, a small town just an hour’s drive northeast of Charlotte, where a regional favorite is the wood-smoked pork shoulder, coarsely chopped and topped by a mostly vinegar based sauce -0 those who know their way around a Lexington grill often order it with some outside brown, which means more flavorful extra bark from the meat) and sometimes extra dip, which is just the word for the thinner sauce. Another Lexington trademark is red slaw, coleslaw that’s swapped out the mayo for BBQ sauce. There’s a lot to the Lexington scene, which is why the city throws the annual Barbecue Festival to celebrate it. For the regular season, Lexington Barbecue #1, established in 1962 and better known by locals as the Honeymonk, is the quintessential Lexington joint, widely hailed as the best in the business, always happy to help a diner out with a big plate of pork and some Cheerwine. Monk: On our way to fly out of Greensboro for our annual guys trip, Speedy and I took the opportunity to check out a joint in Lexington that is on the NC Historic Barbecue Trail but which neither of us had been to – The Barbecue Center. I personally must have passed within a half mile of it literally hundreds of times heading to and from Charlotte without knowing it was there. Nevertheless, I was excited. Pulling in, things looked really good, as there’s a large smokehouse outside and piles of hickory wood. The large smokehouse was not active upon our noon arrival. Additionally, there was hickory wood outside of the kitchen in the main building, which was going, as there was a strong, glorious smoke smell present as we entered the building. Monk: In addition to the smell, you could see thin veil of smoke wafting in the dining room, so I was definitely encouraged. We grabbed a small two-person booth as the lunch rush started to come in and before too long the waitress had taken our order. As is standard, we each ordered a chopped pork plate (with extra outside brown) that came with fries, slaw, and hush puppies and of course, a Cheerwine to top it all off. Speedy: The meal looked fantastic – exactly as a barbecue meal should. I bit into the pork and noticed a definite smoke flavor. It was also perfectly tender. I think my biggest problem was with the dip, which seemed a little heavy on the ketchup, making it sweeter than I like. Monk: The outside brown was very present in the pork, which I agree was very good. The oblong hush puppies were really good and almost as sweet as I like them to be, though not quite. The red slaw wasn’t quite as tangy as I normally like, and I know Speedy had some issues. Speedy: My love of red slaw is well documented around these parts, but again, the dip really held it back for me. The cabbage was chopped perfectly, but I was just overwhelmed by the sweetness of the dip. Was it better than mayo based cole slaw? Of course. But it just wasn’t up to what I expected in the town of Lexington. Speedy: It was very good. In fact, if The Barbecue Center were in Charlotte, I’d probably go eat there all the time. But it’s not in Charlotte, and there’s a higher standard in Lexington. At the end of the day, Mama Speedy was right – why waste your time when Monk’s place is just around the corner?